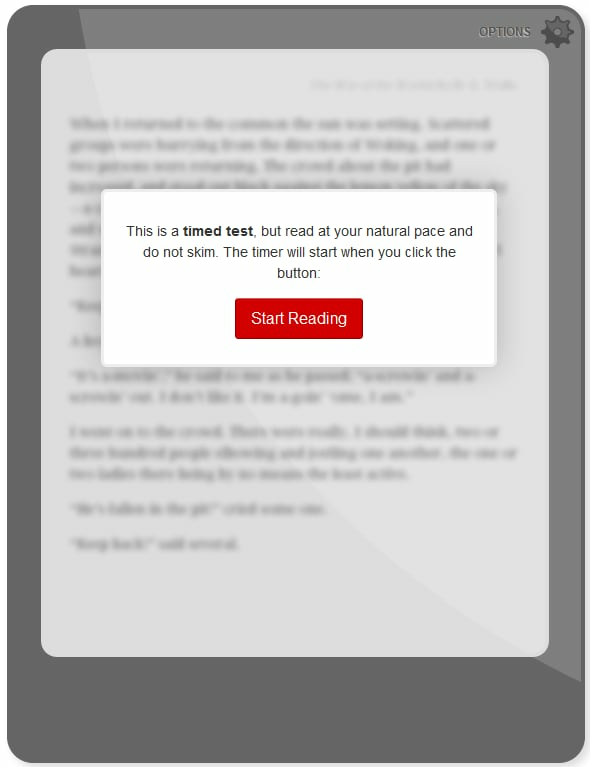 If you want to see how fast you read, click on the eReader above and take the timed test. After reading a selection from H.G. Wells’ War of the Worlds, you’ll answer three comprehension questions and then receive your score. My favorite part is shown after the score page. That’s where you’ll discover how long it will take you, on average, to read such books as Tolstoy’s War and Peace, Tolkien’s Lord of the Rings, or Steinbeck’s The Grapes of Wrath. Of course, I was most interested in how long it would take me to read Harry Potter and the Sorcerer’s Stone (five and a half hours).